Before they were very stupidly banned here the UK, for a while it looked as if hoverboards (or personal transporters, as they were officially known) were about to take off, big time. 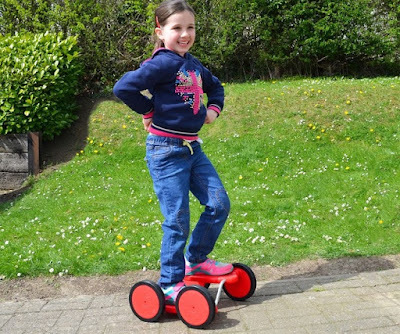 If you still love the idea of you own little step-on vehicle, but know that the current government in Britain are reactionary arseholes, we have a low-tech suggestion for you: The Pedal Racer from findmeagift.co.uk. You might have seen one of these before, and to be honest we're pretty sure one or two of us had one as kids. The Pedal Racer is pedal-powered four-wheel vehicle in which you have to carefully mix balancing and pedalling to move forwards. The results are often hilarious, exhilarating, and down-right dangerous. The Pedal Racer is mostly tough plastic with metal used on the support arms. As the pedals are linked directly to the wheels, without any kind of gearing or spokes, it can be a pretty difficult slog to get moving, especially if you're a heavy person. Couple that with the fact that you have to lean forwards while pedalling, and the Pedal Racer makes for a tricky old thing to master. However, once you do get the hang of it, its a load of fun. We will admit to suffering some rather dodgy falls from this to begin with, so as long as you practice on soft grass, or while holding on to a wall or railing, you'll be fine. 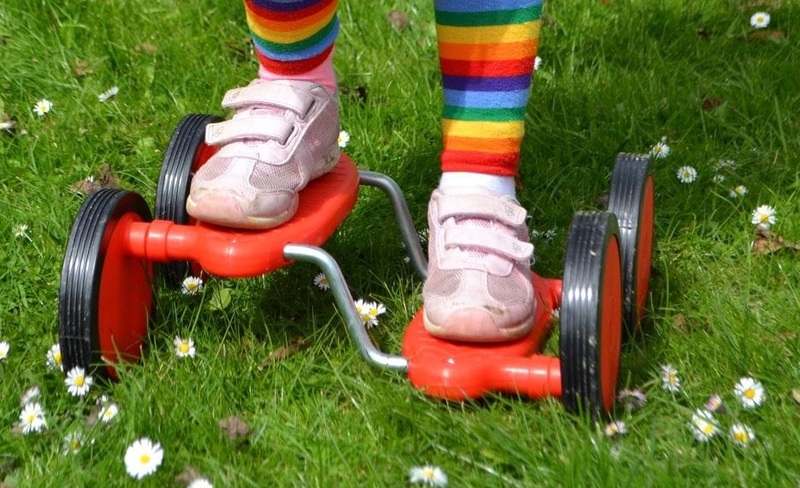 After that, you'll enjoy it as a pretty awesome garden toy - one that kids of all ages can enjoy. And when we say all ages, we mean all the way up to adult and beyond.